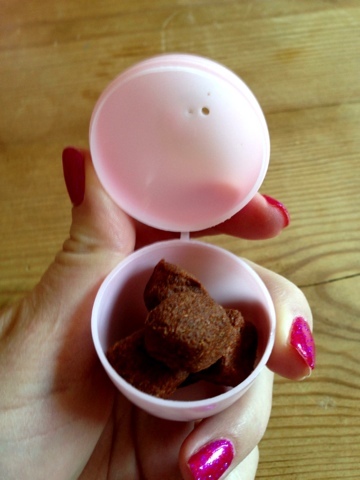 Here is my DIY Easter egg hunt for Dogs!!! This Easter weekend Nick and I are staying in a country cottage with our friends. We will all be taking our dogs with us. In total there will be 4 couples, 1 baby and 7 dogs!!! He he! We plan to go for nice long walks and eat lots of scrummy food. To help our Easter Extravaganza go with a bang (and also to burn off some beagle energy!) I wanted to plan an easter egg hunt for the dogs. I looked everywhere to find some Easter eggs for them to no avail. The one I did find was £5.99 for one! With 7 dogs to feed this would be an expensive exercise, also with only one each the hunt would be over in minutes. 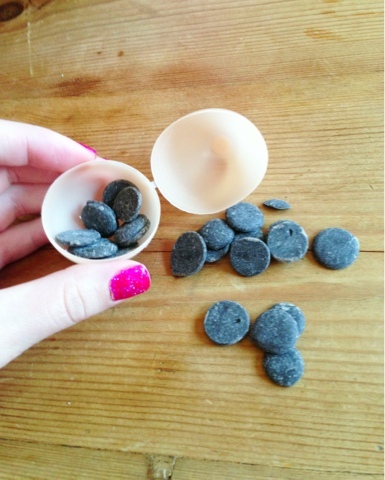 I bought the plastic eggs from the 99p shop, I bought two packets so they’d be enough for the whole pack. I then bought some small treats to fill them. 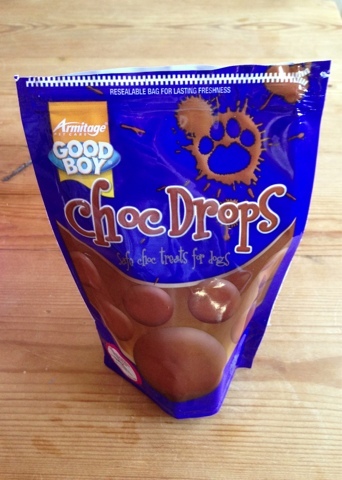 I decided on doggy chocolate drops so our doggy’s can have a chocolate treat too! These were from the 99p shop. 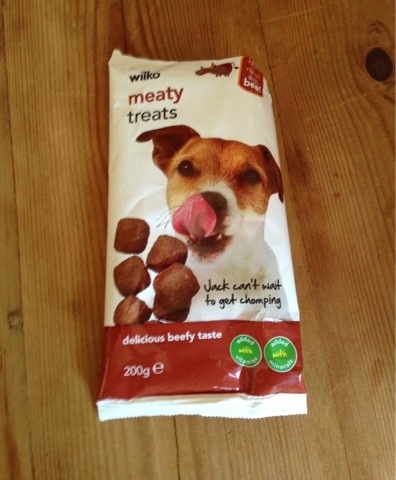 As well as meaty chunks because they’ll all love those, the ones I got were from Wilkinson’s. They cost £1. I gave Ralph a sneaky taster and he approved! 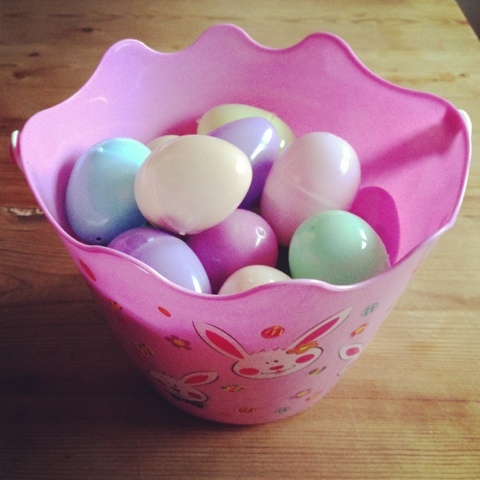 Next I set about filling the eggs with treats. Once filled, I snapped them shut and there you have it. The Easter bucket the eggs are stored in was also from the 99p shop. Perfect for when I hide the eggs round the garden on Sunday morning.